About a year ago, Cheryl Tibbs, general manager of Douglasville, Ga.-based One Stop Funding, was having trouble getting in touch with one of her clients. 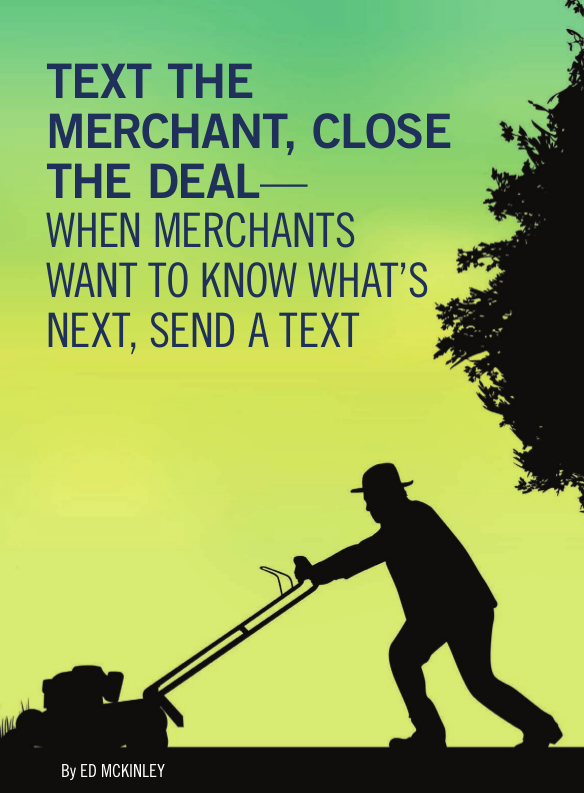 The merchant in question runs a lawn care service and is usually out on the job, so he isn’t quick to return phone calls or respond to email messages. “I just got the idea to send a text,” Tibbs recalls. She typed a message expressing her regret for intruding but letting her client know that he needed to take certain steps to advance the funding process for his loan application. He texted right back. Tibbs isn’t alone in her appreciation for text messaging as a part of the sales process. Quick responses to texts are making the medium increasingly important in the alternative small-business funding business, maintains Gil Zapata, CEO of Miami-based Lendinero. “Text messaging is more powerful than emailing nowadays,” he declares. Texting has become almost standard procedure at Florida-based Financial Advantage Group LLC, according to Scott Williams, the firm’s managing member. He prefers that sales associates make the initial contact by phone to get a sense of what the merchant is looking for in a funding deal. After gathering information and getting approval, it’s best to send the offer by email so the merchant has “all the numbers in black and white” and more details than a text message can hold, he notes. After that, text messages can deliver requests for additional documentation and provide updates on the progress of the funding process. “We can tell them, ‘Hey, everything got cleared this morning – we should be able to do the funding this afternoon,’” he says. Clients can use messaging to convey images of documents needed in the funding process, Tibbs says. “I had a merchant yesterday who sent me over her IRS tax agreement through picture message,” Tibbs says by way of example. Often, funders request color images of both sides of an applicant’s driver’s license, she notes. To fulfill such requirements, it’s generally easier to snap a photo with a phone and send it as a picture message than to scan pages of paper into a computer to create an electronic document and then send the resulting file by email. “We do a lot with picture messaging,” she observes. 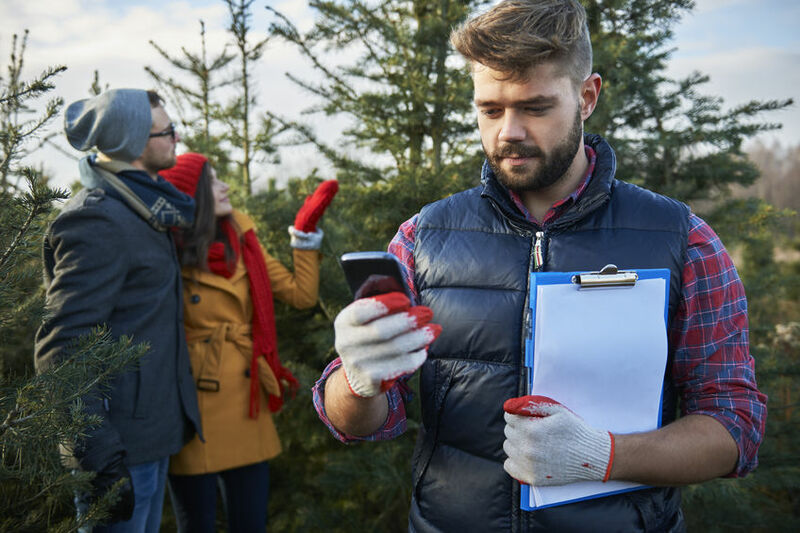 But as useful as text messaging can become for contacting phone-shy clients or helping clients share an image to document a key cancelled check, companies should exercise care when using the medium for prospecting, warns Zapata. He and just about everyone else deBanked consulted emphasizes that sending unsolicited text messages can violate Federal Trade Commission regulations. “Just because our industry isn’t regulated doesn’t mean there aren’t regulations out there on the side,” he says. Most say they learned of the regulations from third-party vendors who specialize in sending batches of text messages simultaneously. The key to sending those groups of messages legally is to get permission from the recipients in advance, notes Ted Guggenheim, CEO of TextUs, a Boulder, Colo., company specializing in multiple-texting services. “If you’re (randomly) contacting people you got off a list somewhere, that’s a pretty bad idea,” he maintains. The feds heavily regulate five-digit short-code texts but tread lightly with long-code texts – the ones sent from 10-digit phone numbers, Guggenheim says. The latter would apply in alternative finance, and if a text recipient calls back on the phone number associated with a long-code text, someone will answer, he notes. 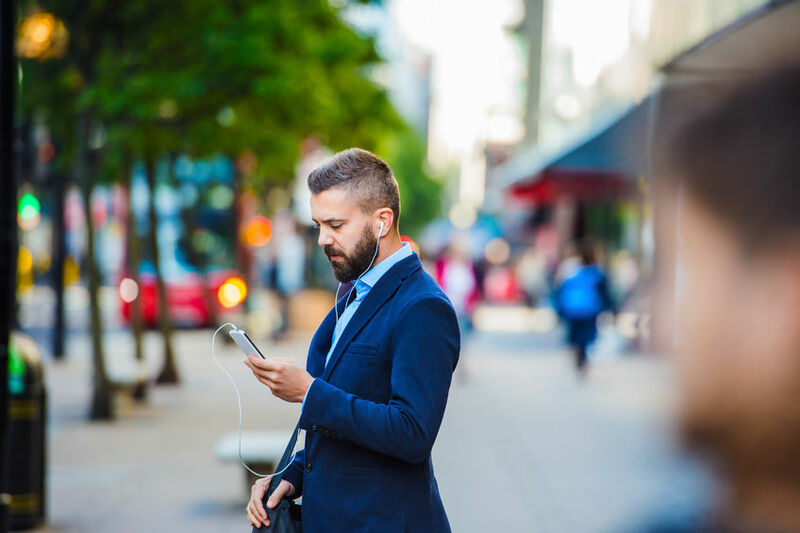 Citing guidelines from the Cellular Telecommunications Industry Association (CTIA), Guggenheim stipulates that consumers should have the ability to opt out of additional messages after receiving the first one. Members of the industry who want to send groups of text messages can post conditions on their websites that compel users to grant permission to contact them by text if they submit their contact information, he suggests. 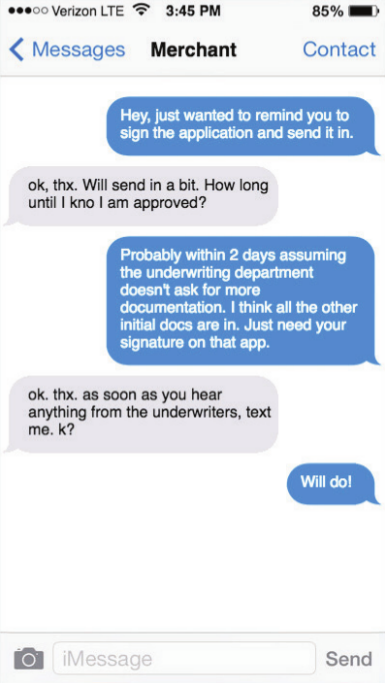 After ensuring everything’s legal, Tucker reports 1st Capital Loans nets a good response when he uses a vendor to blast multiple identical text messages to lists of prospective clients who have already granted permission for his company to contact them by text message. The strategy has helped bring in a reasonable number of deals because the prospects were “already in the pipeline,” he notes. Remember, though, that cell phone numbers change more often than land line numbers, Tucker cautions. That means a call to a number that’s been reassigned could inadvertently fall into the unsolicited text message category that violates federal rules, he says. “You could be texting a 14-year-old,” instead of a small business, he warns. When mounting a mass text campaign, marketers are wise to avoid lengthy missives, according to Tibbs. “Keep it simple,” she says. A typical message from her might read: “Looking for funding? Looking for capital? Give us a call,” she notes. In business texts, avoid acronyms like “LOL” and write in complete sentences with proper punctuation and capitalization, Blount suggests. “Begin by typing out the message somewhere other than in the text box, read it, make sure it makes sense and then send it,” he says. Put your name with the word “from” at the top of the message so the recipient knows who sent it, he emphasizes. Keep messages conceptual rather than marketing-oriented, Guggenheim advises. Messages should directly address the customer’s situation to avoid seeming they were sent by a robot, he says. As with any response a salesperson receives, getting back to customers quickly pays off in better results, he adds. When sending a batch of texts, vendors of the bulk service can ensure every text bears the same phone number that the sales rep uses to call the client, thus avoiding the possible confusion of using more than one number, says Guggenheim. The system he offers can trigger a pop-up on the computer screen of a specified salesperson when a text recipient responds, he says. It also keeps management informed of the volume of texts and the response rate, he says. That helps managers determine which types of text messages are working, he maintains. Users can also rely on Guggenheim’s TextUs system to schedule messages for delivery in the future to remind clients of meetings. The system detects land-line numbers and informs the user that the phone will not receive text messages, and it integrates with customer-relationship management systems to exchange information, he says. So used properly, texting can offer benefits for everyone involved. But some unscrupulous players still insist upon using the medium to mislead prospective clients, says Zapata. His customers have shown him texts from competitors who make initial contact or early contact by sending text messages that might look like offers but are really just marketing letters, says Zapata. That approach, which might tout the availability of $50,000, can cause problems when it turns out that the merchant qualifies for only $25,000, he explains. “Trust me, you’re not going to look like the good guy,” he says of the firms that send what he considers objectionable text messages. Sensitivity comes into play with text messaging, according to Blount. He and other sources say a great number of people regard email as business-oriented and texts as personal. That leads them to nonchalantly delete unwanted email messages but to become angry when they receive a text they didn’t want, he says. “You can’t send text messages to customers if they don’t know you,” he counsels. Once a relationship is established, however, text messages can nurture it, Blount maintains. Suppose two businesspeople meet at a networking event and exchange business cards, he says. He advises noting the cell number on the card and sending a LinkedIn invitation immediately after meeting the potential client. Twelve hours later he would send a text message mentioning the encounter. If the salesperson can get the potential client to respond to a text message, that prospect is granting permission to receive texts, he says. Blount’s example seems to suggest the line between business and personal may be blurring when it comes to texting. People often check their email messages on phones these days – instead of on a laptop or desktop computer – which also minimizes the difference between texting and emailing, says Tibbs. “Everybody does everything with their phone these days,” she notes. Communicating through a more personal channel such as texting has advantages, too, Williams contends. That’s because some merchants consider their financing to be personal and don’t want to broadcast the details to employees, he says. To protect their privacy, merchants often provide financial institutions with their cell phone number instead of their office number or toll-free line, he notes. Meanwhile, the world continues to become more comfortable with texting. When Williams and his sales associates began messaging clients about four years ago, they found younger customers receptive and older ones reluctant, he remembers. In the intervening years, however, the 50 plus crowd has warmed to the medium, he observes. An advantage that accrues with text messaging – compared with email – arises from the fact that spam filters and spam folders don’t seem to have a place in the world of texting. Several sources cite that as a big advantage with using texts. “If you send someone a text message, they’re going to see it,” notes Zapata.